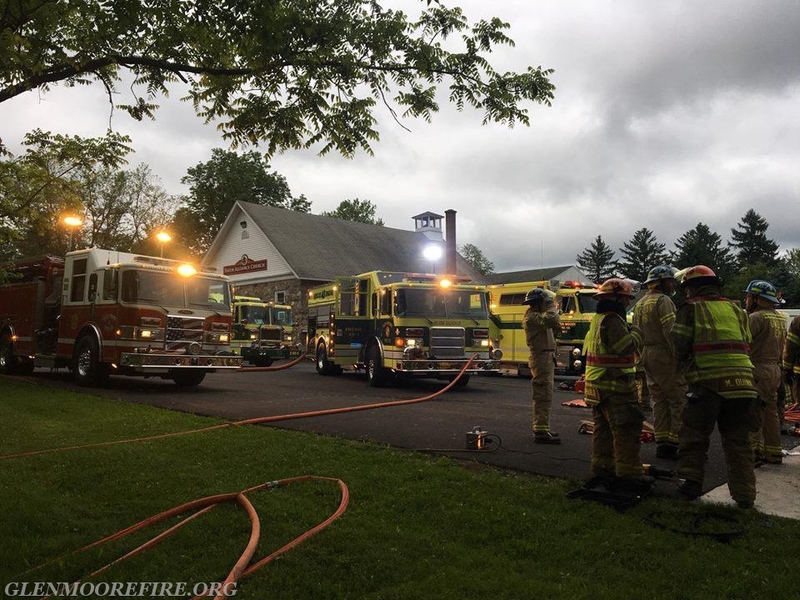 On Wednesday 5/30/2018, the volunteers from the Glen Moore Fire Company gathered for their weekly training session. 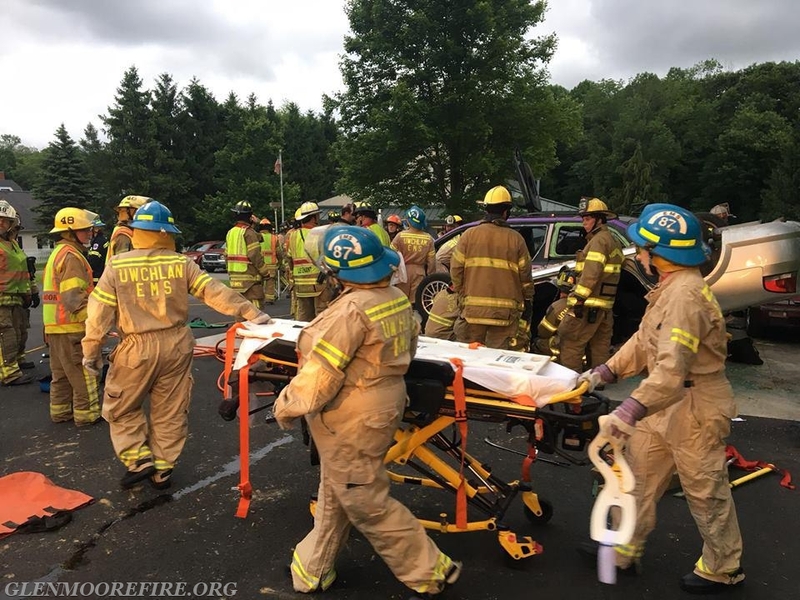 They were joined by the EMT students from Uwchlan Ambulance Corps (Station 87) and an engine crew from the Honey Brook Fire Company (Station 33). 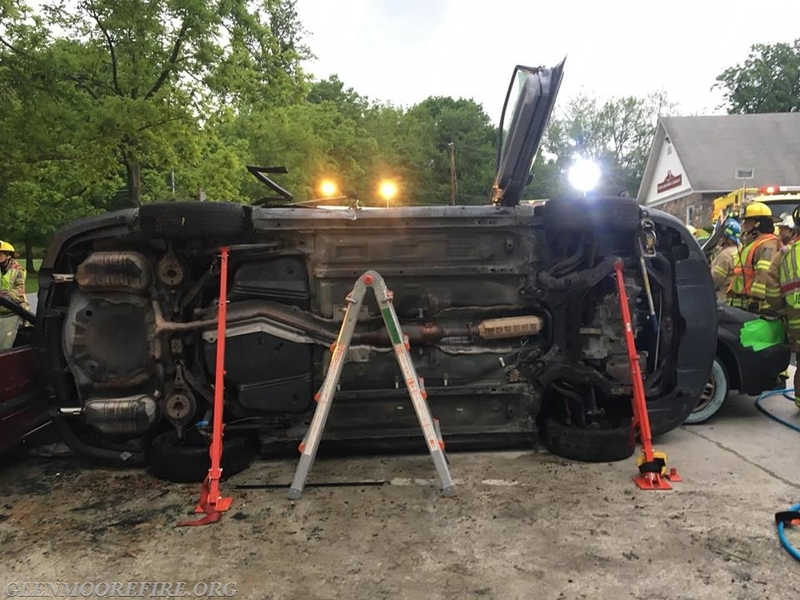 The fire companies assisted the EMT students with completing their Vehicle Rescue Practical assessment for their class. 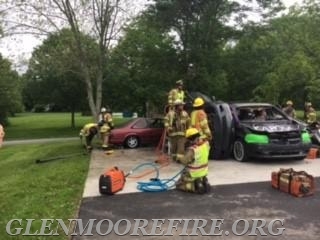 The training was led by Lt. Jim Werner of Station 87 and GMFC Assistant Fire Chief Andy Chambers who is also an EMT instructor. 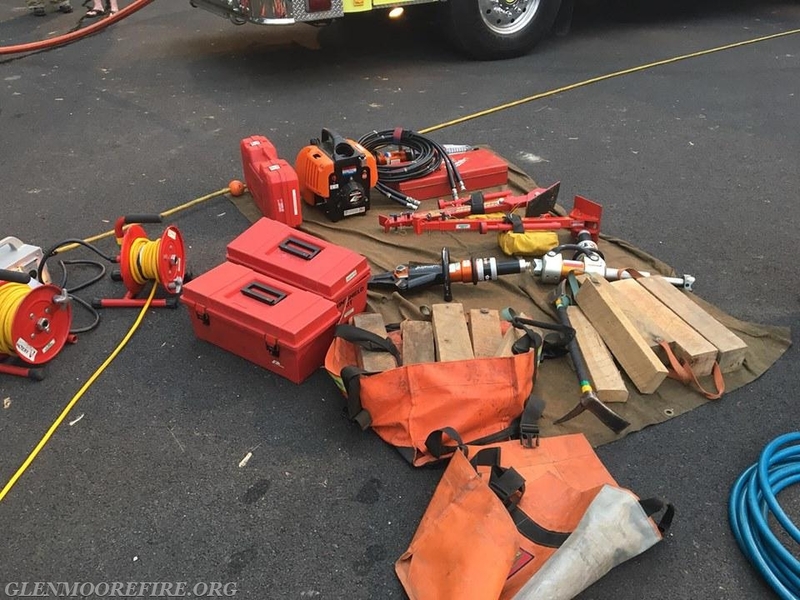 We covered various topics including scene size up, vehicle stabilization, fire suppression, patient care and packaging, and extrication techniques. 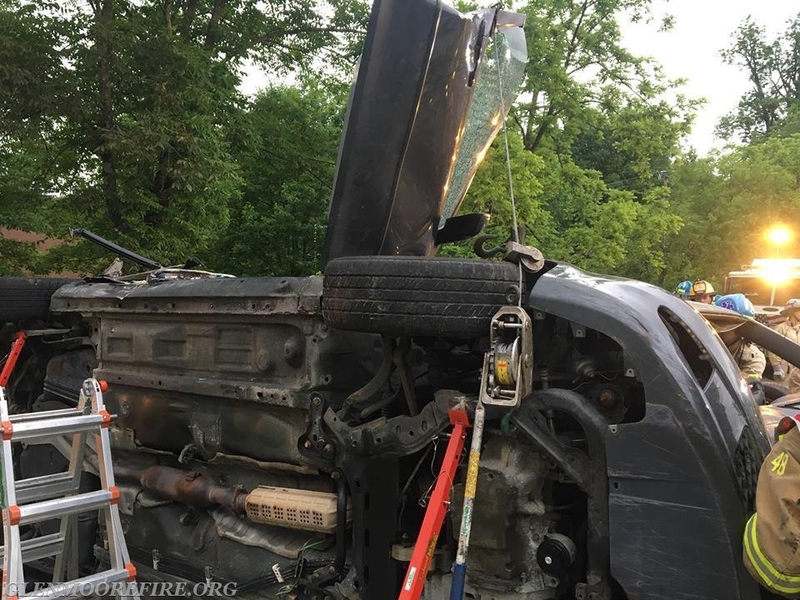 The scenario was a four vehicle accident on the PA Turnpike. 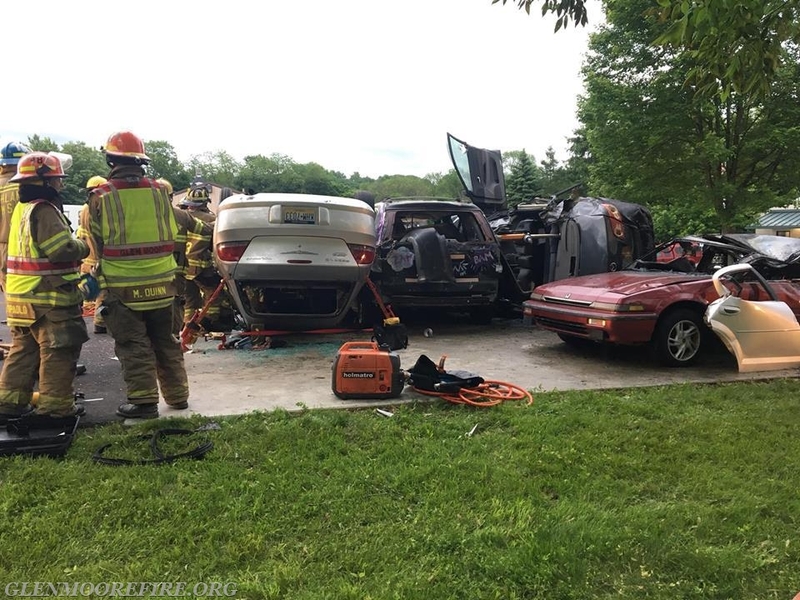 One car was on fire; a second car was on its roof; a third car was on its side; and a fourth vehicle was wedged between the others. 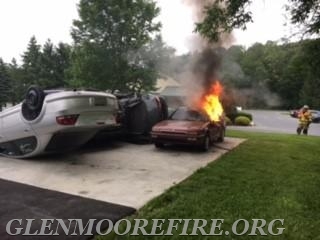 There was a “victim” in the three vehicles not on fire. 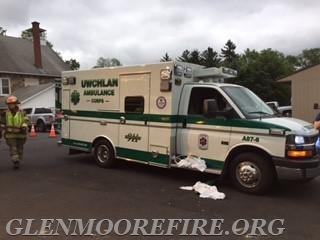 The victims were played by GMFC firefighters and placed in the cars after the fire was extinguished. 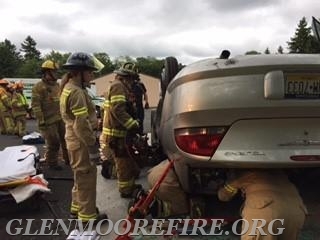 The crews from the Glen Moore and Honey Brook Fire Companies had the opportunity to practice various vehicle rescue and extrication techniques using a variety of tools. 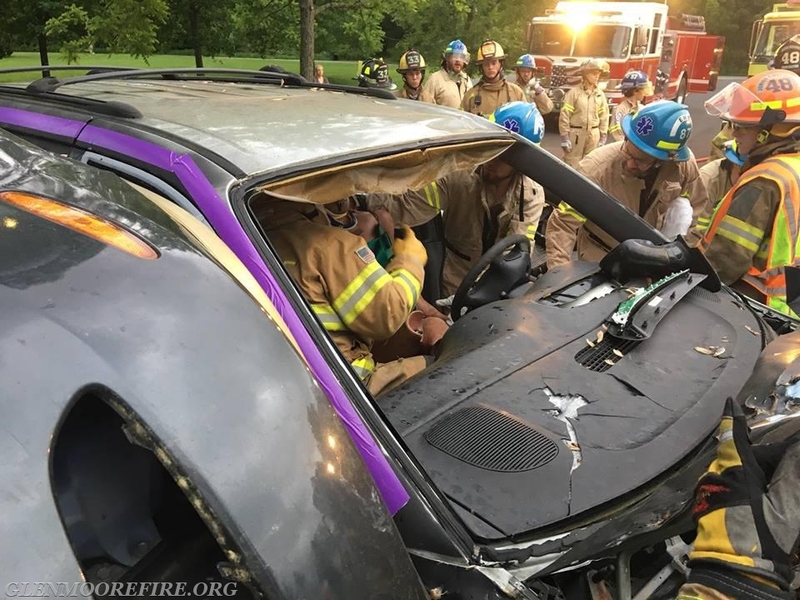 The extrications were guided by the EMT students as they provided the patient care. 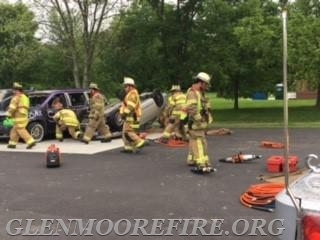 These types of trainings are critical so that the fire crews can practice using rescue tools and extrication techniques while interacting with other emergency personnel at the accident scene. The Glen Moore Fire Company would like to thank Station 87 and the EMT students for allowing us to be a part of their education and training. Thank you to our mutual aid partner, Honey Brook Fire Company, for assisting us with this training. Lastly, a very special thank you to Eagle Service Center, Inc. for supporting this training event.